This bar scale is designed for weighing liquor and wine bottles to obtain extremely precise inventories. It is different than other scales because it allows you to dial in the bottles' tare weight (empty bottle weight) and it converts weight ounces to fluid ounces. This conversion is essential to obtain accurate inventories since liquor and wine bottle volumes are in fluid ounces, not weight ounces. Determine how much liquor has been depleted over a specified period of time and verify the integrity of liquor sales over the same period of time. This bottle scale can also help managers generate accurate end-of-month inventories for use on monthly P&L statements and balance sheets. 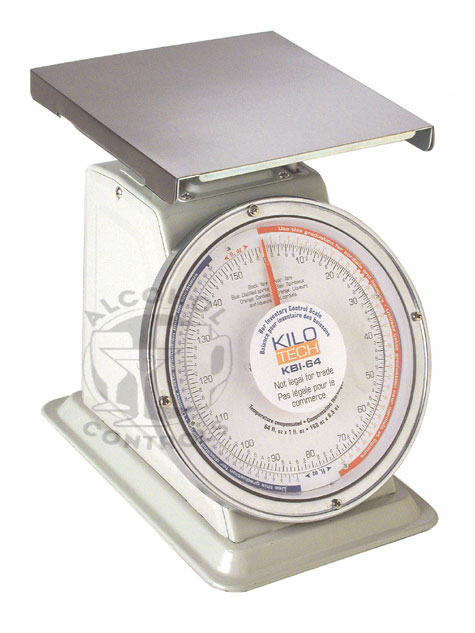 The scale is available through our website at a great price of only $195. For just $50 more, we'll include our $99 manual scale software program that contains a series of 5 easy-to-use Excel spreadsheets for inventorying Liquor, Wine, Bottled Beer, Draft Beer and Miscellaneous Items. Managers simply enter inventory data into the spreadsheets and the software automatically calculates inventory values, potential revenues and beverage cost percentages. These calculations help managers verify that depleted inventories have been rung up properly as sales. Have the facts to hold employees accountable for unauthorized giveaways, cash skimming & pilferage. Plus, as an added bonus, you'll receive our list of 944 liquor bottle tare weights, a $19.95 value for free! If you already own a bar scale and just need the software, click the drop-down box next to the order button below and choose "Manual Scale Software Only". When checking out, choose the "Email - Software Products Only" for your shipping option and we will email the software to you within 24 hours (M-F) for only $99 and you will not be charged $7.95 for shipping. Copyright © 2018 Alcohol Controls - All rights reserved.